Today I would like to talk about branding. We hear a lot about it, but what is it? The dictionary describes branding as “the promotion of a particular product or company by means of advertising and distinctive design”. Companies try to create a name, logos, designs, and use particular colors so they are easily recognized by their audience. 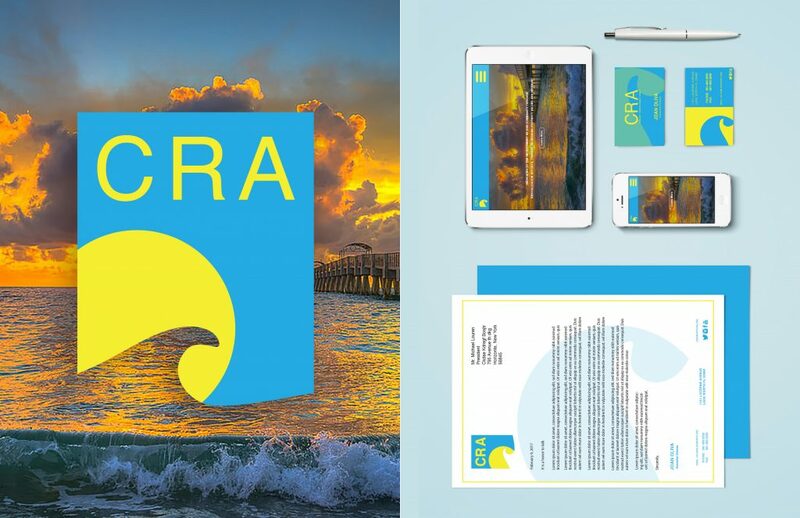 My graphic design 2 students were asked to re-brand the Lake Worth CRA (Community Reinvestment Act) and I would like to present one successful example. 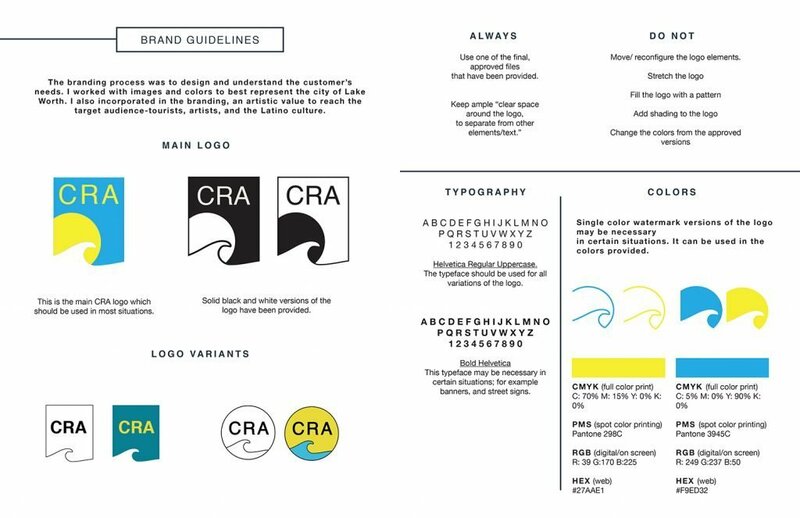 Above we have a specimen sheet that displays the concepts for a logo, and variants, typography and colors. It’s important that a company marketing team specify the guidelines for usage. For example: Coca Cola has their distinctive typeface and red color (no PMS number on their red) or Tiffany has their distinctive robin’s egg blue PMS 1837 (the year the company was founded). When you see those colors your mind is conditioned to think that product. And if for a moment please allow me to geek out just a little… Palm Beach State’s PMS color is 561… the very same as our telephone area code. Good Lord, it makes me smile every time I see it! I will have to find out one day if that was intentional or a happy accident. Great job on these pieces Ms. Costa. 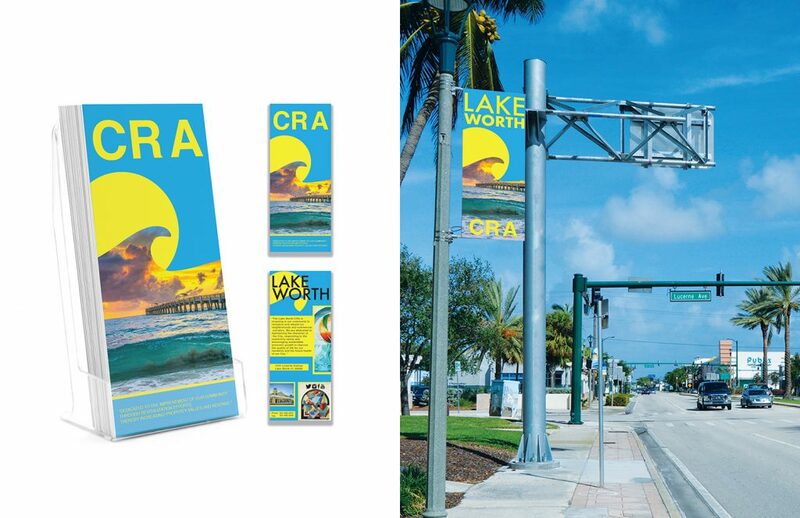 The use of mock-ups, attention to detail, and using actual photographs from Lake Worth make your pieces feel connected to the area. .